with its unrelenting appeal for justice." 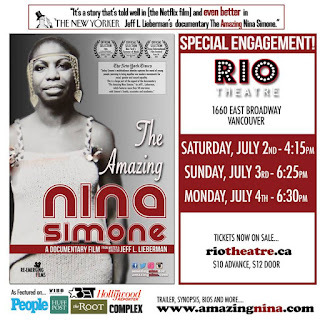 I was fortunate to have my dear friend Randi Winter make me aware that the Canadian premiere of The Amazing Nina Simone: A Documentary was to be held right here in Vancouver - Writer/Director Jeff L. Lieberman's home town - at The Playhouse. 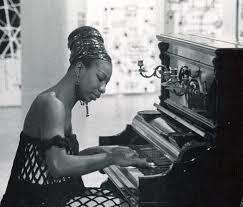 Nina Simone was a mystery to me. However, her name has been in the press a lot lately, so I was curious. This evening was my chance to finally hear her story. This opening show was a true celebration! After a short welcome, the evening began with a musical tribute to Nina by The Henry Young Quintet (Henry Young - Guitar/Conductor, Jaye Kerbs - Piano, Paul Blaney - Acoustic Bass, James Nolan - Drums and Albert St. Albert - Percussion/African Instruments). Singer/actor Candus Churchill took the mike, sharing introductory notes on each number first and then offering her strong vocals to bring the song to life. Their set included such well-known hits as Milestones (Intro) into Devil's Workshop/Go to Hell, Don't Let Me Be Misunderstood, Love Me Or Leave Me, I Put A Spell on You and See-Line Woman. It was an amazing opening and the audience responded enthusiastically. The movie came next. It was a bit longer than the average documentary, but I can't image a single thing I would cut. Her life was interesting and varied, with many layers. 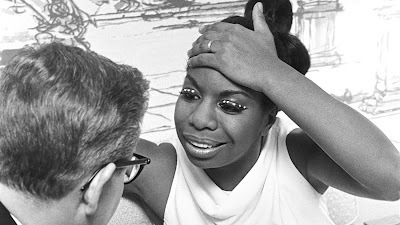 The story line moved through her humble beginnings; prejudice, her training and phenomenal talent as a classical pianist and the roadblocks that arose to block that career; how her journey as a singer began; how she was truly unique from her contemporaries; marriage; mental illness; health challenges and more. I want to offer my personal kudos to Lieberman. I love hearing unique journeys - the reason my career is focused on interviewing. Through original clips of Nina being interviewed and performing, historic images, interviews with her family/friends/associates (over 40 altogether); and commentaries on the political and racial issues that impacted her life - I came away feeling like I had been given the chance to really get to know Simone. Not an easy task. I highly recommend this movie. Not just to learn about the artist, but to more deeply understand what was happening in America during that time of unrest. After the movie was finished, many of us had to unfortunately leave. There was something special in store for those who were able to stay longer. Director Jeff L. Lieberman and conductor Henry Young took to the stage for an intimate Q and A with audience members. What a treat. How many times does the audience get a chance to interact with the write/director to get answers right from the source? For those who missed the premiere, I have fabulous news. 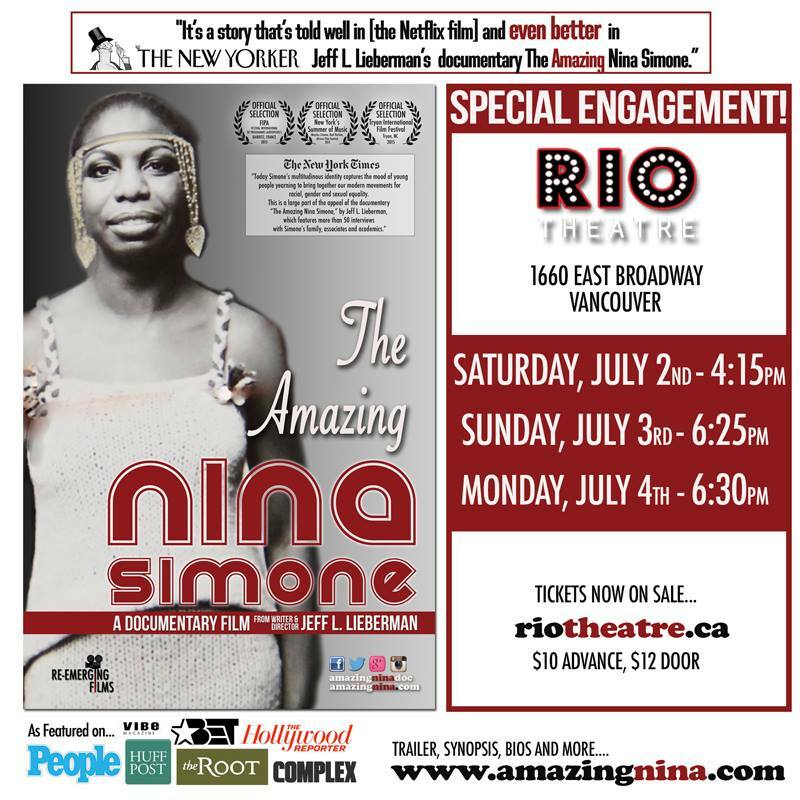 Lieberman has just announced that the Rio Theatre at 1660 E Broadway in Vancouver, will be offering additional showings (movie only) on July 2-4th, and may be adding more. Info on showtimes and how to purchase tickets can be found HERE. I would book your ticket today as this movie is on fire! I know you'll love it. Enjoy! 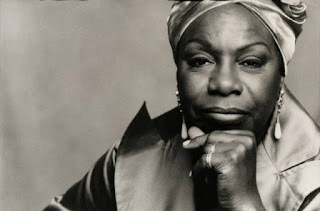 Nina Simone Tribute by Brother Sam Waymon: "Just Like a Woman"